Ultrafast oscillators designed to meet a wide range of applications and user requirements, from multi-photon excitation microscopy to time-resolved TeraHertz studies. 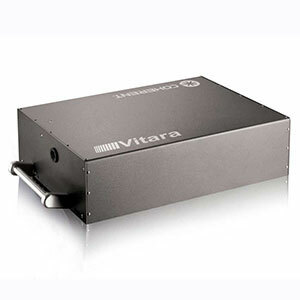 Vitara Family - Hands-free, Ti:Sapphire computer controlled lasers with adjustable wavelength, bandwidth and pulse width. 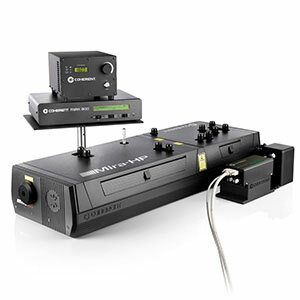 Chameleon Family - Fully automated lasers featuring the widest tuning range. Mira Family - Comprehensive family of flexible modelocked Ti:Sapphire oscillators. 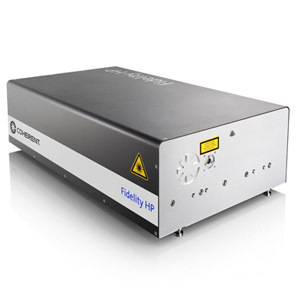 Fidelity Lasers - Powerful femtosecond fiber lasers with groundbreaking short pulse duration. 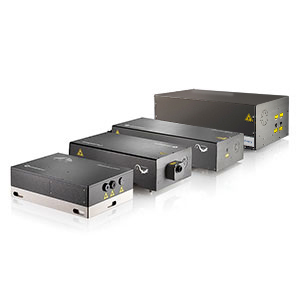 Family of Ultrafast (femtosecond, picosecond, and dual) Ti:sapphire Lasers with built-in Optima control and diagnostics system enabling easy adjustment of the output wavelength, pulse width and power. High-Power Ultrafast Ti:Sapphire Oscillator delivering high power across the entire Ti:Sapphire tuning curve. The Mira-HP combines high reliability and a user-friendly open architecture with the Optima suite of onboard diagnostics. 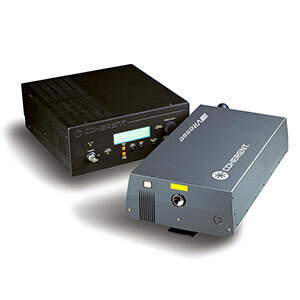 Family of hands-free ultrashort pulse Ti:S lasers offering <8fs pulses, powers approaching 1W, computer adjustable wavelength and bandwidth. 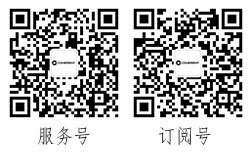 Ideal for amplifier seeding, terahertz generation, CEP stabilization for attosecond studies, non-linear imaging, and spectroscopy. Under this new protocol called “The Industrial Revolution in Ultrafast Science”, Coherent rigorously tests every laser during the design and production phases to weed out design and manufacturing weaknesses, resulting in a new level of reliability for ultrafast lasers. During the design phase, we’ve adopted an industrial-grade HALT (Highly Accelerated Life Testing) protocol in which the system being produced is subjected to both temperature and vibration cycles in order to expose the weakest links and eliminate them. HASS (Highly Accelerated Stress Screening) is used during manufacturing to weed out any production weaknesses and ensure consistent quality of each laser shipped to customers. 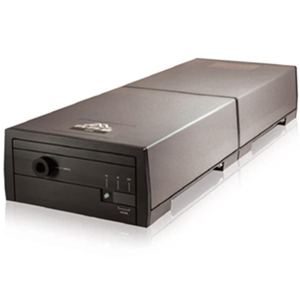 For scientific customers, this revolution in reliability translates into higher data throughput with minimized downtime - lower cost per data point. It delivers a massive reduction in the hidden costs of owning and operating the laser and maximizes experimental productivity. All of Coherent Ti:Sapphire (Ti:S) ultrafast oscillators are based on reliable Kerr Lens Modelocking to produce a broad range of pulse durations, wavelength ranges and repetition rates. 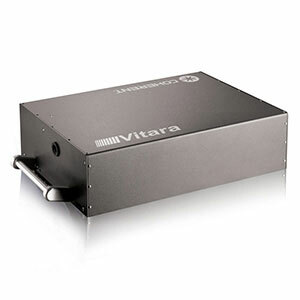 Vitara is a family of hands-free and maintenance-free ultrafast Ti:S oscillators capable of extreme performance. 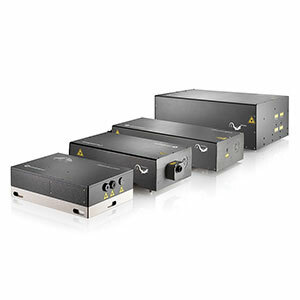 With models capable of generating pulses <12 fs, powers close to 1W, adjustable bandwidth and center wavelength and a full range of advanced accessories, Vitara is the state-of-the-art choice for your most sophisticated applications. The Chameleon family provides high output power and ultimate tuning range of 400 nm. 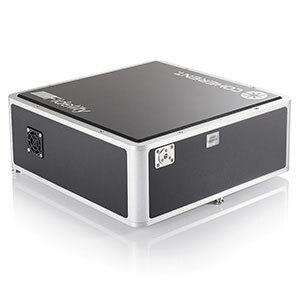 Its fully automated and hands-free operations make Chameleon the ultimate engine for applications such as multiphoton excitation, microscopy and general spectroscopy. 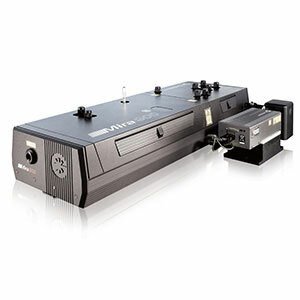 For over a decade Vitesse has been the laser of choice for sub-100 fs industrial applications with proven lifetimes of tens of thousands of hours. Users requiring maximum power and versatility can select our highly-configurable Mira systems pumped by an external Verdi Series pump laser and upgradeable with a large series of options and accessories. A broad range of accessories (harmonic and parametric generators, pulse pickers, shapers and compressors, synchronization and CEP stabilization units) extends the performance of all these systems as well as upgrades systems already in the field. These advanced accessories provide users with tools that are always ready to propel the most innovative research applications.